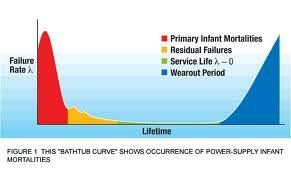 Understanding your expected failure rate gives you the opportunity to set realistic warranty requirements. It also gives you an expectation of costs. Percept can help you avoid the need to make significant changes late in the development process. A Predicted Failure Rate can also be used as a sales tool. We can give you the information necessary to stay ahead of your competitor’s in offering a better warranty.